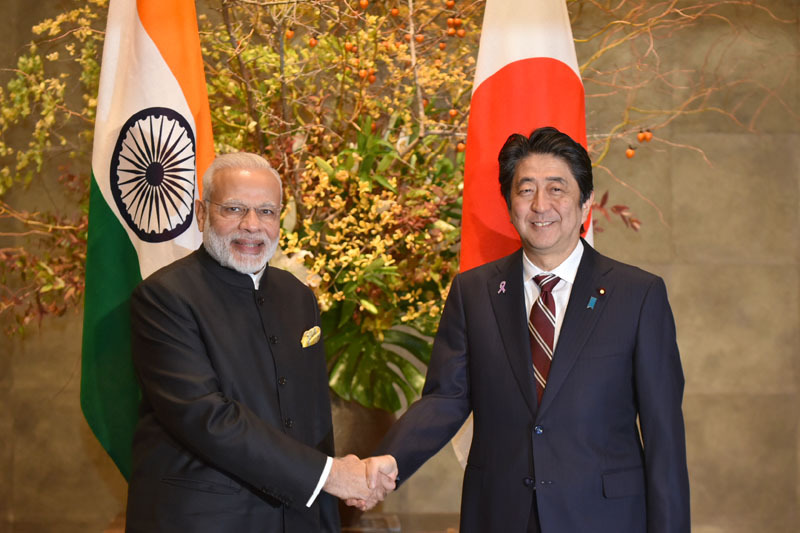 The two day visit of Japanese Prime Minister Shinzo Abe to Ahmedabad on September 13 and 14, 2017 attracted attention primarily for the inauguration of the MHSAR (Mumbai Ahmedabad High Speed Rail) Project, which would enable transfer of high level technology to India, encourage “Make in India” ventures, and promote skill levels of Indian technicians. 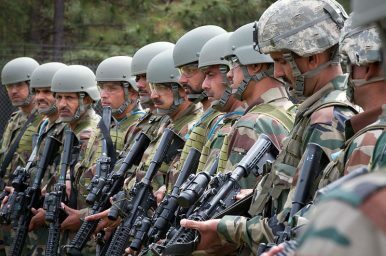 In 29 September 2016, Indian Army special forces struck militant positions “along” the Line of Control, in Pakistan-controlled Kashmir. The operations — described as “surgical strikes” in a joint Indian Ministry of External Affairs and Indian Ministry of Defence briefing — were an act of swift retaliation for a deadly attack just eleven days earlier on Indian security forces in Uri, in Kashmir’s Baramulla district, by heavily armed and well-trained attackers affiliated with Pakistan-based Jaish-e-Mohammed. Recently the UN’s Conference of the Convention on Certain Conventional Weapons (CCW) established a Group of Governmental Experts (GGE) on Lethal Autonomous Weapon Systems (LAWs). The group is headed by Amandeep Singh Gill, an Indian diplomat. An Open Letter was promptly circulated by a group of CEOs and Founders whose companies are working in Artificial Intelligence and Robotics’ technologies, welcoming the UN move and calling for an outright ban on Lethal Autonomous Weapons. 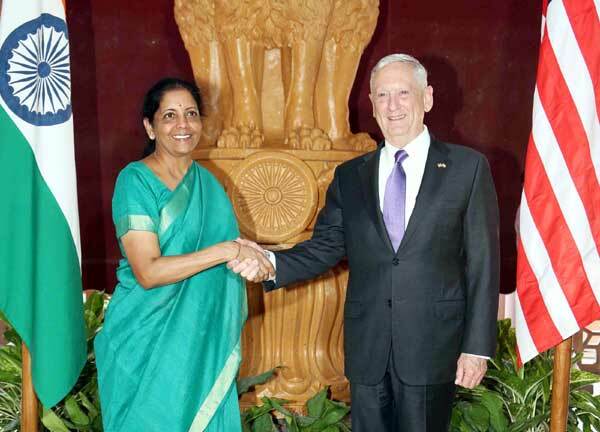 US Defence Secretary James Mattis recently met with his Indian counterpart, Nirmala Sitharaman in New Delhi. Two subjects took precedence over a variety of items on their agenda for talks. 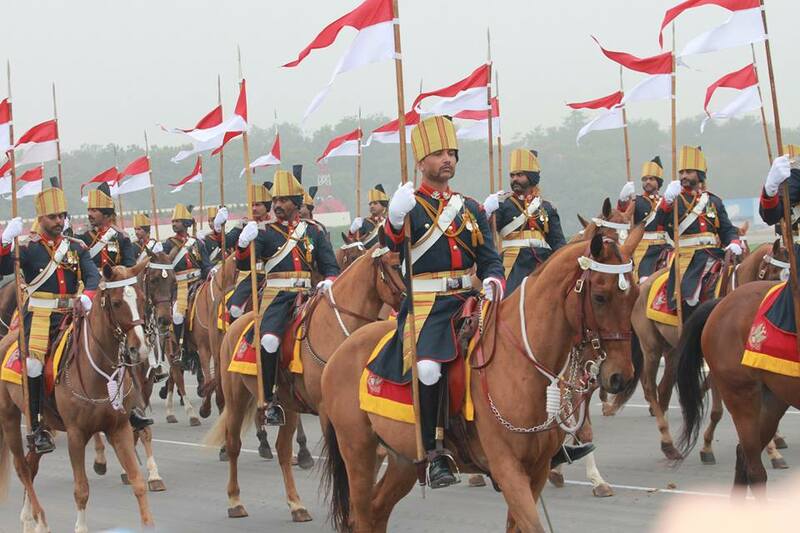 These were (a) meeting the challenge of global terror and (b) strategic defence partnership. Donald Trump’s strategy for Afghanistan and South Asia announced on 21 August, was intended to highlight the novelty and surprise elements of a roadmap that purportedly sought little short of the decimation of terrorism. 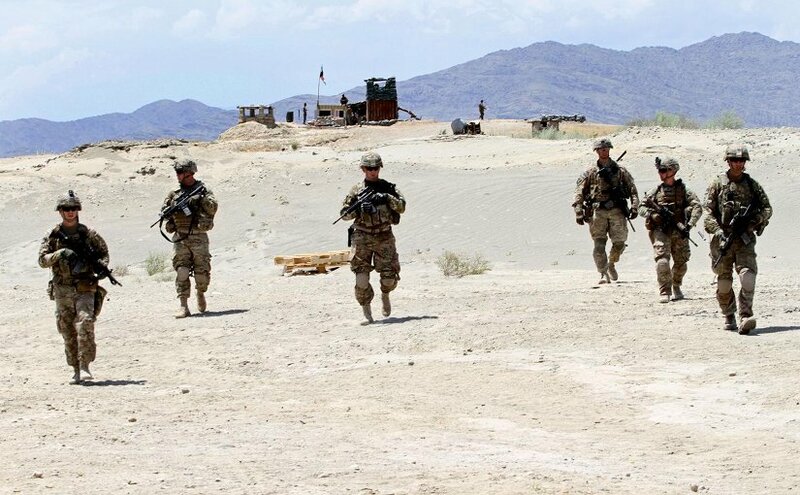 For all that, the ‘new’ strategy, its overheated semantics and studious ambiguity notwithstanding, in reality is but a continuation of the American trial and error method that has kept insurgent aspirations of a victory alive these 16 years since the US intervened in Afghanistan. For the past month, the world has watched in horror as Myanmar’s army has carried out a brutal campaign of ethnic cleansing against members of the Rohingya minority in the west of the country. Almost 500,000 women, men and children have already crossed the border into Bangladesh, leaving behind dead family members, burned villages and a shattered homeland. India’s diplomacy faced a severe challenge over the issue of a mass exodus of Rohingyas from Myanmar to neighboring Bangladesh. Bangladesh received around 4,00,000 Rohingyas who fled their homes in Myanmar following the outbreak of violence with the security forces in August this year. The present exodus of refugees, one of the largest in recent times, has raised concerns internationally. Bangladesh and the international community have been urging India, as a regional power, to take a bigger role in dealing with the problem. 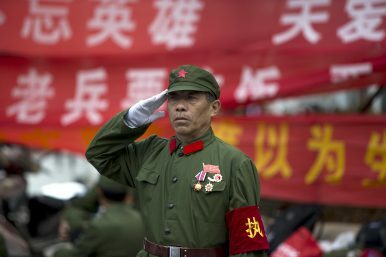 For the past 50 years, American leaders have been supremely confident that they could suffer military setbacks in places such as Cuba or Vietnam without having their system of global hegemony, backed by the world’s wealthiest economy and finest military, affected. The country was, after all, the planet’s “indispensible nation,” as Secretary of State Madeleine Albright proclaimed in 1998 — and other presidents and politicians have insisted ever since. The United States enjoyed a greater “disparity of power” over its would-be rivals than any empire ever, Yale historian Paul Kennedy announced in 2002. Certainly, it would remain “the sole superpower for decades to come,” Foreign Affairs magazine assured us in 2016. For government agencies, open source intelligence (OSINT) fuel the never-ending charge to make informed decisions. The mainstay of OSINT to government agencies are the social and local news posts found on the web – with 90%-95% of these being non-english text and sources. With so much data being created every day, how can agencies focused on National Security like the NSA, DHS, CIA and others gain a higher level of confidence identifying and acting on the posts? Combine Connotate’s market leading web data extraction platform with Basis Technology’s Rosette text analytics platform, ensuring a continuous flow of contextually accurate, disambiguated data about people, places, organizations and things into analytical and intelligence systems. Data are a defining feature of modern society. Every day, humans and the machines they interact with create 2.5 trillion megabytes of data. As data become more prominent and readily available, the temptation to analyze them and make sense of the world through specific analytics methods or algorithms grows. This is particularly true for national security. Big data is a “big deal” for U.S. spy agencies, which have long relied on multiple data sources to produce intelligence reports. In the past decade, agencies like the CIA and the NSA have institutionalized big data through the development of dedicated analytics units and research and development projects focusing on the analysis of online data such as YouTube videos and social media posts. To qualify as colonial powers, Facebook and Google must effectively limit the choices and power of users, and punish or coerce those who question or resist their power.